Star defender, tweeter, and enforcer Metta World Peace could be headed to New York. 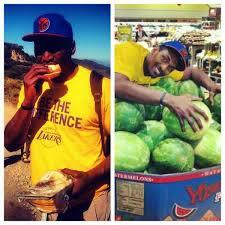 The Lakers officially amnestied World Peace on Thursday, meaning that teams under the cap have 48 hours to claim him. 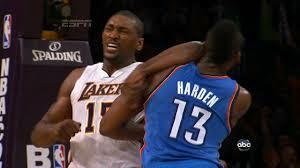 If the former Ron Artest is not claimed, he will become an unrestricted free agent. The Knicks are said to have serious interest in the Queens native (according to several sources), and World Peace has interest in returning home to play for the Knicks to finish his career where he wanted to start it. Metta tweeted the photo at the top of this article yesterday. However, the Cavs and Mavs could bid for World Peace and keep him away from NY. The Clippers and Nets could also have interest if World Peace clears waivers. Stay tuned. This entry was posted in Articles and tagged KNICKS, Knicks news, knicks rumors, metta world peace, metta world peace knicks, nba rumors, ron artest, ron artest knicks, tommy rothman knicks on July 11, 2013 by Tommy Rothman.